A patrol officer observed a vehicle commit several traffic violations in the area of HWY 182 and La. 70. Upon conducting a traffic stop the driver was identified as Wendy S. Stevenson. The Officer observed an open container of alcoholic beverage in the vehicle and suspected driver impairment. A field sobriety test was performed and Stevenson did poorly on the test. 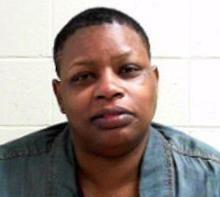 Stevenson was placed under arrest and transported to Morgan City Police Department. Once at Morgan City Police department Stevenson refused to give a breath sample. Officers obtained a search warrant and a blood sample was collected pending testing. Stevenson was booked and incarcerated. 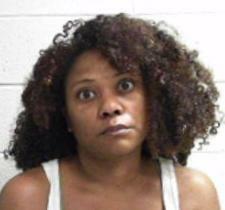 Jerlyn Renee Dumas, 36 years of age, Address- Terrebonne St., Morgan City, La., was arrested on 4/15/2019 @ 4:15 P.M.
Officers were called to a Terrebonne St. residence in reference to a small child falling out of a second story window. When officers arrived they learned from witnesses the mother of the child, Jerlyn R. Dumas, had left the residence with her one-year-old child when confronted by witnesses. Officers began to search the area for Dumas and her child and Detectives were summoned to the scene. During the course of the investigation, a search warrant was obtained for Dumas’s residence. During the execution of the search warrant, detectives observed evidence supporting witnesses statement of the child falling out of the second story window. Detectives also located suspected marijuana and drug paraphernalia in the residence. During the investigation, Dumas was located by officers on Terrebonne St. along with her child. Acadian Ambulance was called to the scene to transport the small child to the hospital for treatment. The child was examined and later released from the hospital. Dumas was placed under arrest and transported the Morgan City Police Department for booking and incarceration. Roger Bennorh Short, 33 years of age, Address-Francis St., Berwick, La., was arrested on 4/15/2019 @ 7:13 P.M.
Rober Short was located at St. Mary L.E.C. and was transported to Morgan City Police Department on an active warrant held by City Court Morgan Cit. He was booked and incarcerated. Zacharieth Paul Lopez, 28 years of age, Address-Shell Beach Rd., Pierre Part, Morgan City, La., was arrested on 4/15/2019 11:17 P.M.
Officers came into contact with Zacharieth P. Lopez in the parking lot of a local motel on HWY 182. A warrants check revealed Morgan City Police Department held an active warrant for his arrest. He was placed under arrest and transported to Morgan City Police Department for booking and incarceration.